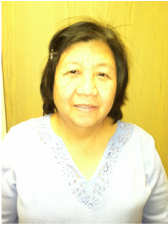 Dr. Eden Ordonez has been with Midwest Pediatrics LTD for over 20 years. She enjoys treating children of any age and loves to tell stories. What sets Dr. Ordonez apart from others is her meticulous attention to detail when examining her patients. Dr. Ordonez is happily married with three handsome boys and is a proud grandmother. Some of her hobbies include gardening, cooking, and singing. Philosophy of care: "To treat each patient like they were part of my family and focus on preventive medicine"